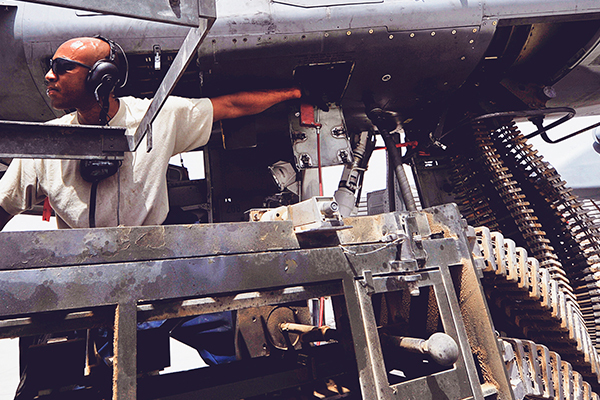 FIG provides integrated airborne weapon systems with unprecedented and unequalled firing capabilities for multi-role helicopters and aircrafts while maintaining simplicity of use and crew safety. Taking advantage of its expertise and long-standing partnership through various channel, FIG develops programs and supply a fully integrated airborne weapon systems equipped with combat proven weapons that offer reliability, accuracy, simplicity and safety. FIG's integrated airborne weapon systems include crew-served or axially mounted machine guns, rocket launchers and a complete range of ammunition. More than just selling weapon systems, we develop a complete integration of the system together with the helicopter manufacturer or directly with the end user. The company supervises the installation of all its products and provides operator training as well as a high-quality after-sales service to meet our customers' requirements. FIG has successfully equipped multiple military agency in the kingdom. Its solid reputation can be attributed to its rigorous professional ethics, ongoing effort to achieve foremost quality, and commitment to efficient service and outstanding customer support.